Sometime in September last year, I went back to school. Again. 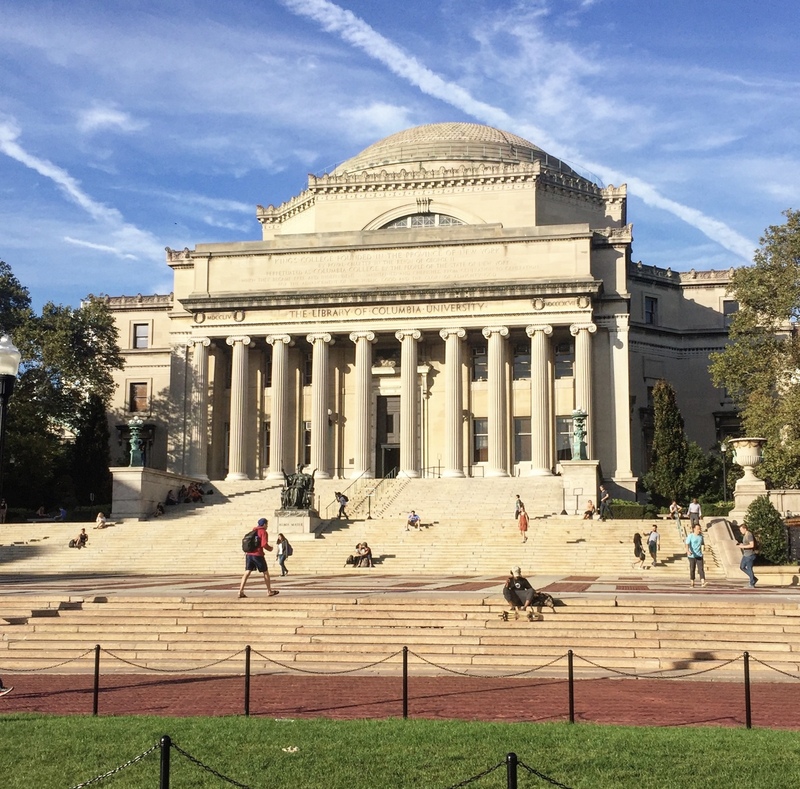 I hadn’t exactly planned for it this time, but by now, I have completed a third of an Executive Education Program in Sustainable Food Systems at the Earth Institute at Columbia University in New York. It all started with me looking for a course in environmental economics. I had for a long time been trying to find something that suited me as I wanted to get better insights into the tools available to estimate the real cost of food. I think we are getting to a point where we need to assess the real cost of food (environment and health) when considering agricultural investments or when pricing food, since we otherwise will continue to produce and consume food in a way that is not sustainable. My first M.Sc. was in economics, but my major was in macro and development economics, plus environmental economics was at the time a relatively new topic so we didn’t spend a lot of time on it. Anyway, the course that I found was part of a program in Sustainable Food Systems, with a lot of focus on natural sciences and ecology, complementing my current background in social sciences, and because the environmental economics course was so inspiring, I decided to complete the full program. This isn’t the first time I go back to school since I started working on agriculture and food sector development more than a decade ago; I’ve done both an M.Sc. in Food and Nutrition Policy and a Certificate in Urban Agriculture. The reason is that this topic continues to evolve: When I first started working in the Food and Agriculture Organization of the United Nations (FAO) in the mid-2000s, there was a growing awareness of the significant impacts that agricultural growth could have on poverty reduction, and an emerging global agenda around resource constraints. However, climate change impacts were still being discussed as a future abstract, agriculture’s contribution to environmental degradation was still predominately viewed as a high-income country concern, there was little acknowledgement of the sectors’ contribution to greenhouse gases, and food security was mainly viewed as having enough access to energy/kcal. I think even someone who is not working in this field realizes that a lot has happened since. Climate change adaptation and mitigation are today part of any discussion on agricultural development. Scarcity of natural resources and externalities from the agricultural sector are factored into environmental impact assessments for public investments in the sector. Increasingly, nutrition and the importance of a diverse food system to achieve all dimensions of food security are being acknowledged by governments and agricultural development practitioners, and it is widely recognized that overweight, obesity, and related diseases are no longer just a “high-income country problem”. So in order to provide the best possible advice to those that I work with, I need to stay on top of all these developments, to gain insights into new technologies and evidence behind new discourses. So I revert back to the classroom every few years, trying to be as knowledgable as I possibly can in the field that I work in. That the program gives me an excuse to go up to New York on a regular basis is of course an added bonus! This is how inspiring a visit to the campus can look like. A little less academia-romantic is setting the alarm clock for 1 am in the morning to log on to a 2-hour webinar while on work trips in different corners of Africa. But well worth it! !